As you can see...I just created a new blog header! What do you think? Hmm...What do you think? Should I stick with the old one..
kaksu rasa yg baru lg nampak fresh..tapikan lagi ok if mulut hidung tu wani yang punya....hehehhe baru nampak real..
the old 1,. is more cool,. wani dear, me vote for the old one... (",) yang baru ni cun jugak.. tapi yg lama macam lagi kena dengan u.. kelas gitu! wani, kita suka the old header, but this new one pun cantik juga!! but just kita suka the old one. Classic! me vote for the new one! WOW!!! like the new header. Silent reader here, first time commenting. I think the new header looks good, but the font colour for your name is too light. Maybe a brighter/darker pink would look better. 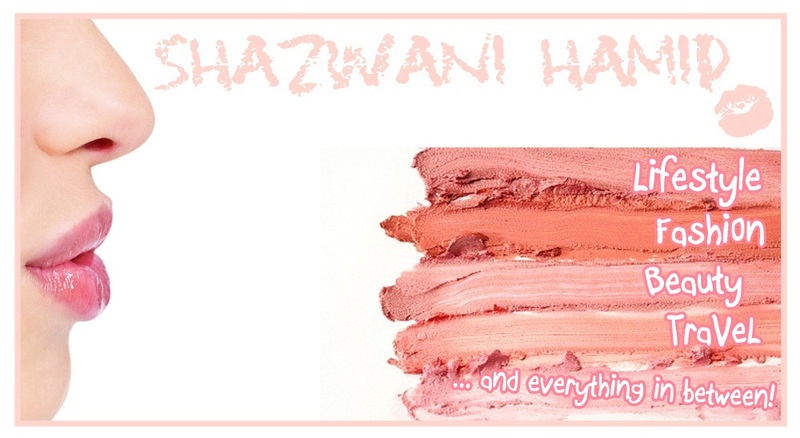 my 1st impression would be : it looks like a beauty blog rather than personal blog :P. just my 2 cents! i LOVE the new one. Superlike!!!!!!! i love the old classy header! and ig i got to vote by sms, i will do in pukal 10 sms terus. the new one look like illan menjual gincu. mula2 click shazwanihamid.com ingatkan salah taip ke apa . tkejut tgk header lain hohoh. i like both. tatau mana nak pilih. sbb dua2 ada kecantikan dia sendiri..
i like the old header better than new one. for me the new one doesn't reflect much of yourself. Hie...i THINK i saw you in Pavilion walking pass j.co doughnut on Thursday at around 12.00 noon !! you were in a peach outfit right ?? was it you ?? the new one of course........ fresh and girly!!! suits u well!